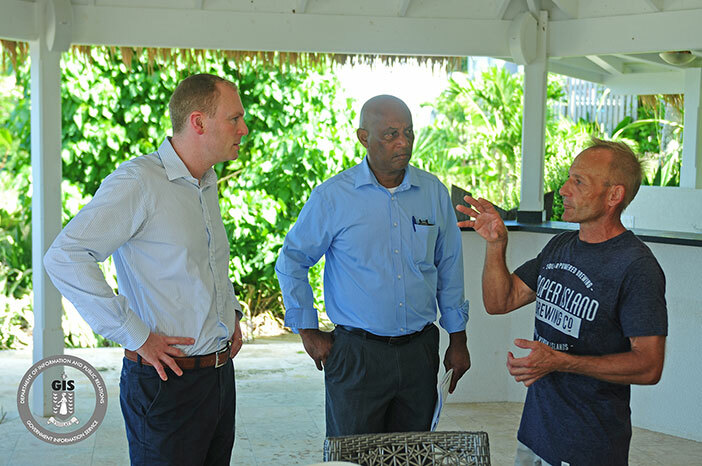 His Excellency the Governor Augustus Jaspert recently visited Salt and Copper Islands to conduct damage assessment and expand efforts to the sister islands following the weather events of 2017. 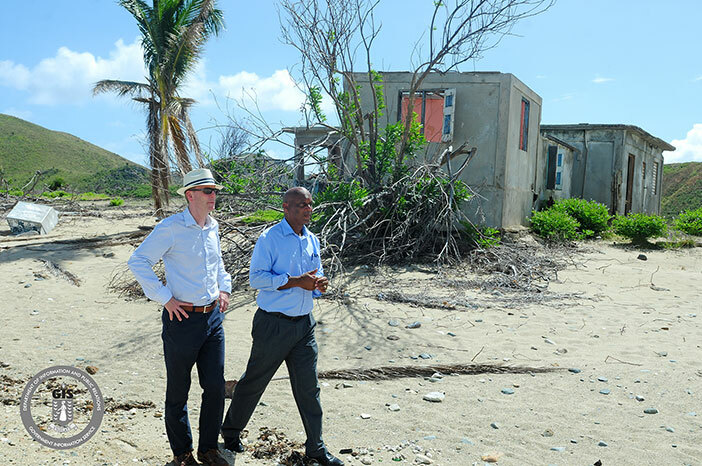 The islands sustained significant damage to their natural environment following Hurricanes Irma and Maria. 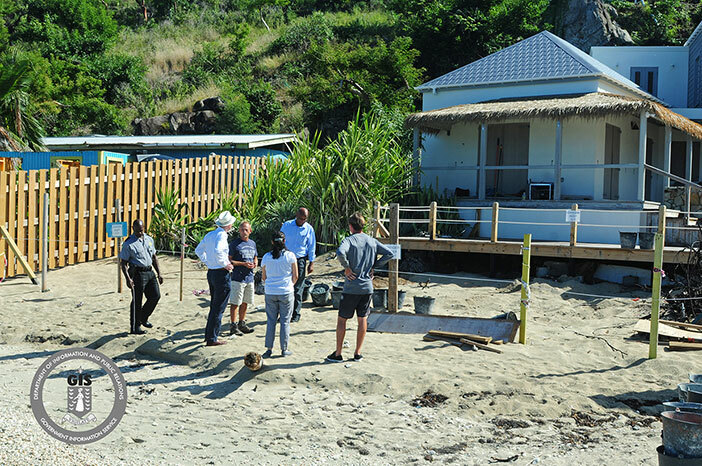 His Excellency toured the Cooper Island Beach Club and was impressed by their business model for sustainable renewable energy and recycling programme. 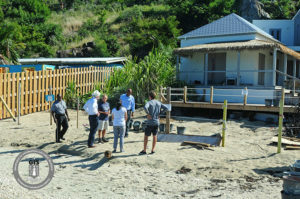 He was also pleased that Cooper Island Beach Club is committed to reopening on April 1. 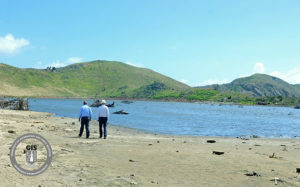 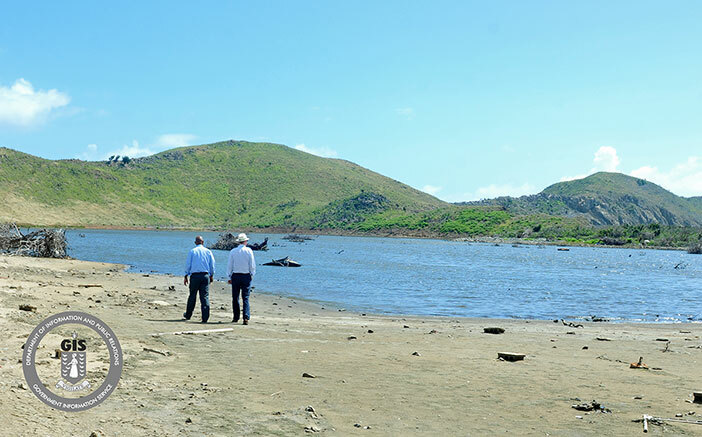 On Salt Island, the Governor visited the burial site of those lost during the 1867 Hurricane and the world-renowned salt pond. Sister Islands Programme Coordinator Mr. Vincent Wheatley accompanied Governor Jaspert on the tour. 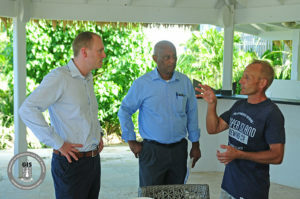 The Governor plans to visit Marina Cay, Camanoe and Scrub Islands in the near future as well as make regular visits to the other sister islands.